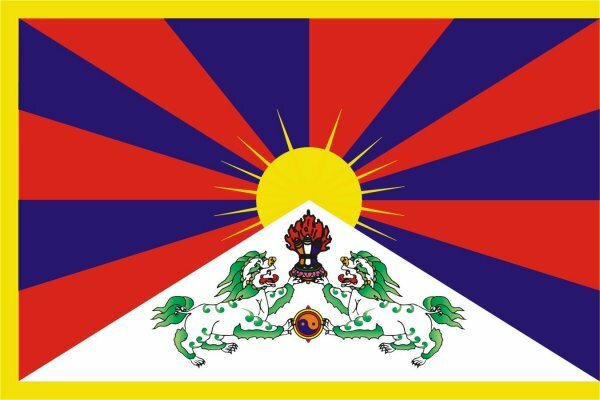 The Tibetan Centre for Human Rights and Democracy released a report yesterday detailing the prevalence of the practice of enforced disappearances in Tibet. Imagine a close loved one being taken into custody, held incommunicado for days, weeks, or even years, without any contact or communication with you or other family members. Imagine the mental anguish and torment of not knowing where they are, if they are being tortured or have been killed. In this respect, enforced disappearances have a "doubly paralyzing impact," not only on the victims, but also on their loved ones who live in a constant state of anxiety and fear about the fate of the disappeared person. Today, TCHRD, on the eve of the 98th session of the UN Working Group on Enforced and Involuntary Disappearances, releases an introductory report and analysis on enforced disappearances in Tibet. Enforced disappearance is a serious international crime that violates multiple human rights and fundamental freedoms enshrined in the Universal Declaration of Human Rights and other major international human rights instruments. Yet such disappearances are prevalent and commonplace for Tibetans living under Chinese rule. While there is a growing movement to ban enforced disappearances in any form or justification, the Chinese government has for the past many decades used enforced disappearances as a tool to suppress dissent and criticism, by disappearing and detaining incommunicado persons deemed threats to the PRC’s "unity" and "stability." Security officers in Tibet, particularly the Public Security Bureau and the People’s Armed Police, use enforced disappearance to terrorize and intimidate the disappeared person, his or her family members, as well as the entire community. In 2008, TCHRD reported a surge in cases of enforced and involuntary disappearances following the outbreak of major protests across the Tibetan plateau. After a violent military crackdown in Tibet, TCHRD reported that at least one thousand Tibetans had disappeared, their whereabouts and well-being unknown to family members and affiliated monasteries at the time. To date, the Chinese government has refused to divulge any information on the exact number of arrests and detentions or how many it has sentenced to extrajudicial forms of detention, such as ‘Re-education Through Labour’ (Ch: Liaojiao). The report also gives an analysis of a quintessential high-profile 'disappearance'; that of Chadrel Rinpoche who 'disappeared' in May 1995 for allegedly 'giving out the name of the boy who was supposed to be the 11th Panchen Lama before it was approved by the [Chinese] authorities.' Rinpoche has been held in Chinese detention ever since, and in 2011, he was reported to have died under mysterious circumstances. Furthermore, official Chinese claims notwithstanding, the 11th Panchen Lama, Gedhun Choekyi Nyima, has also not been seen since he was secretly removed from his home in May 1995, nor have numerous appeals by the international community for specific information about his welfare and whereabouts been acknowledged. During the March 2012 annual session, China’s parliament, the National People’s Congress (NPC), approved proposed amendments to its Criminal Procedure Law. These latest amendments fail to outlaw the persistent use of enforced disappearance as a tool to crack down on critics of official policies. Perhaps the most disturbing revision is embodied in Article 73, which essentially legalises the secret detention of persons charged with perceived political crimes.